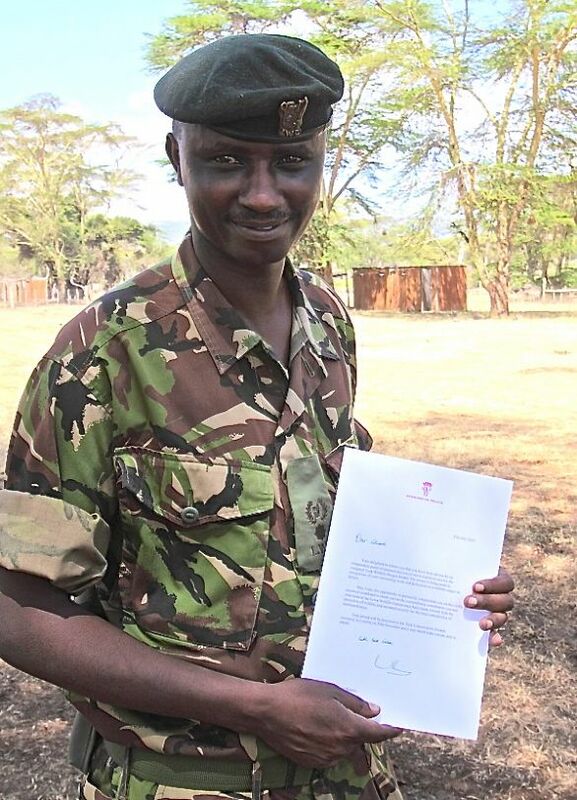 Ndiritu, was selected for his outstanding leadership and commitment in the face of the escalating threat from poachers in northern Kenya. His security operation covering more than two million acres, is home to thirty-three community managed wildlife conservancies and the 128 rhino living within the Lewa Wildlife Conservancy. dedication, commitment to his work and exemplary leadership has enabled the organisations he works with to reduce elephant poaching in the NRT conservancies by 38% in the past four years. Additionally in 2014, Lewa was the only Conservancy not to lose rhino to poachers in Kenya. Over the years, many poachers have been caught and arrested, their weapons confiscated and illegal ivory recovered. Additionally, Edward’s work in promoting security within northern Kenya’s historically volatile areas has resulted in hundreds of stolen livestock being recovered and returned to their owners, apprehension of road bandits and further recovery of illegal weapons. All these efforts have improved the safety of the wildlife and people of northern Kenya. If you’ve been inspired by Edward’s story, learn about another finalist, or let others know about the Tusk Awards.